The British presented a skewed picture of the Mughal ruler in order to justify the horrors of colonialism. Hindu nationalists have a real problem with Aurangzeb. They often express a desire to "erase Mughal emperors" from history, in the recent words of one BJP politician, but they seemingly cannot stop talking about Aurangzeb. The most recent invocation of India's most despised Muslim king occurred a few days ago on the lips of Prime Minister Narendra Modi. Modi mocked the Congress party by hailing Rahul Gandhi's imminent election as Congress president as the institution of an "Aurangzeb Raj". This somewhat odd comment appeared to blatantly misconstrue a statement made by Congress leader Mani Shankar Aiyar that contrasted the Congress and the Mughals. Moreover, it was a questionable historical citation. If Modi wanted to point out dynastic trends within the Congress, the Mughals are hardly the best example. Mughal kings did not recognise primogeniture but rather let their sons (and, originally, other male relatives such as nephews) duke it out for the throne. As a result, Mughal succession struggles let the shrewdest ruler rise to power. Aurangzeb, for example, gained the Peacock Throne after a two-year struggle during which he outwitted three brothers, one of whom was their father's favourite to become king, and gained the support of much of the Mughal nobility. Whatever else one might say about Aurangzeb, he was hardly an undeserving heir, who traded solely on his birthright. Modi's point, however, was not to draw a historical parallel but rather to grab headlines and, if possible, votes, by drawing upon anti-Muslim sentiments. In this case, he trotted out the name of one of the most hated Muslim rulers in Indian history. In short, Modi used Aurangzeb's name as a slur. Any actual relevance of Aurangzeb and Mughal history to the current affairs of the Congress was secondary to Modi's main goal of invoking communal politics, a tried-and-tested BJP strategy. The story of how Aurangzeb became India's most maligned king begins in the British colonial period. In brief, the British wanted to point to Indian rulers, who were even worse than themselves, in order to justify the horrors of colonialism. So they painted a skewed picture of Aurangzeb, often misrepresenting his alleged worst crimes. Many Hindu nationalists today think that hating Aurangzeb is a distinctively Indian feeling, but such sentiments are perhaps more aptly described as a colonial inheritance. Despite bringing up the Mughals with remarkable regularity, the Hindu-Right simultaneously tries to erase them. In the last few years, numerous Indian state governments have rewritten textbooks to deemphasise the Mughals. Delhi's Aurangzeb Road is no more. Uttar Pradesh recently omitted the Taj Mahal, built by Aurangzeb's father, from the state tourism booklet. History has not fared well in BJP-run India. Treating history as a shallow propaganda platform causes one to miss its value. Before "Aurangzeb" was an insult, he was a pre-modern king who made a greater impact on India than perhaps any other 17th-century figure. 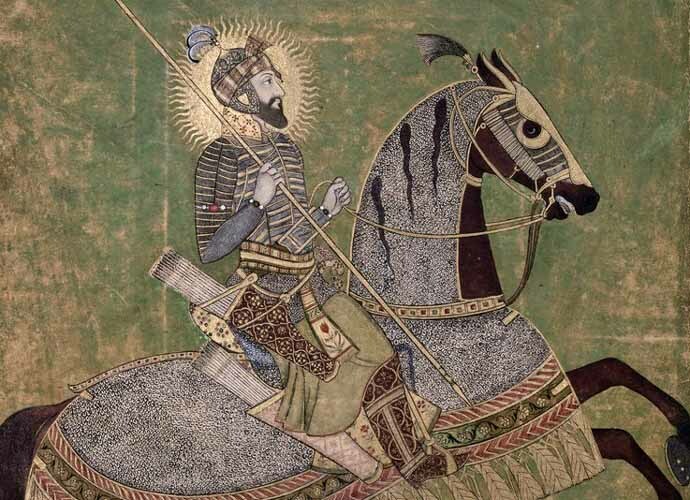 Aurangzeb is worth remembering - not so we can use him as a pawn in today's political and cultural battles - but rather so that we can make sense of Indian history and key aspects of the subcontinent today. Audrey Truschke, assistant professor, Department of History Rutgers University-Newark. She is the author of Culture of Encounters: Sanskrit at the Mughal Court and Aurangzeb: The Man and The Myth.